Promotional text for my book My Life – the Gypsy Traveler and related email correspondence below that. Hi, I came across your site and thought you might be interested in partnering with mine. My page is called The Gypsy Traveler and I write about my travels around the world. I work through the internet and can be anywhere, anytime. I run into Gypsies all the time and we totally relate to one another. For the past five years I’ve lived out of my truck (my home made caravan – http://001yourtranslationservice.com/travel-Europe/caravan-design/how-to-design-a-caravan.html), with solar panels on roof and internet through mobile phone or other means. I run a translation business in this way. You can check out my travel blog here: http://001yourtranslationservice.com/travel-Europe/cheap-travel-europe-tour-guide.html. My sister said the title (The Gypsy Traveler) is too provocative so I wrote up some pages explaining my point of view: http://001yourtranslationservice.com/me/the-gypsy-traveler/the-gypsy-traveler.html. Hope we can come to some happy agreement! I was born in Czechoslovakiain 1965, when the country was under the domain of Communist Russia. But the local government was liberal minded. The country’s president wanted “socialism with a human face”, and Czechs in general are a creative liberal bunch. After all, that is where Bohemia is located. Unfortunately, the conservative Soviet powers didn’t take kindly to this flowering liberalism, and because Czech is generally a very industrial country and was on the verge of developing nuclear power, in 1968 they sent in the troops to prevent a revert to democracy. Not to mention that Czech, bordered to the northwest by Germany and Austria to the south, has a strategic central location in Europe, which the Soviets did not want to lose (and neither Czech’s industry, which generally produced a lot of weapons for the Russians). 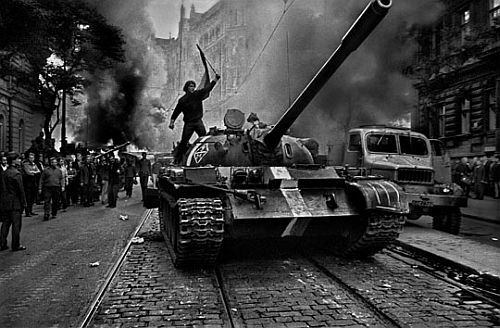 Invasion of Prague in 1968. My parents thought it was time to get the HELL OUT OF THERE. Threw their bags and us children into their 2-cylinder Lada and headed for the border. But the villagers, in the hopes of stopping the incoming tanks, littered the roads with nails. My dad had to patch up the tires six times by the time we made it to the border crossing, by which time it was well past the midnight deadline that the invading forces gave the rebel-hearted to leave. Sneaked through crossing in our secret way and eventually made it to Canada’s capital, Ottawa. Grew up in French-English surroundings and have fond Tom Sawyer and Huckleberry Finn memories at the cottage in the country during the weekends and summers, or at summer camps inOntario andQuebec. Mother remarried to a short-tempered black belt master with really old school thinking. It was clash of the titans and the family pressure cooker started hissing. Eventually moved out west to Vancouver, and by the time I was in grade 10 the environment was beyond intolerable. For everyone. Suggested they send me to boarding school and they welcomed the notion with relief. A little more intense than this. There they would cane you with a sawed off hockey stick if you swore, the discipline of which helped increase my grades from an average of 51% to almost 90 – enough to get accepted in the country’s most prestigious universities. I chose Queen’s because it seemed like more fun, and fun it certainly was, boasting the second highest per-capital consumption of alcohol on the continent. But I didn’t know what I wanted to learn, subsequently wasn’t motivated, and ended up taking three years off, during which time I worked at different jobs at different locations in the country. Learned the basics of many trades, and finally decided I wanted to start a business, so I switched faculties and completed my education. 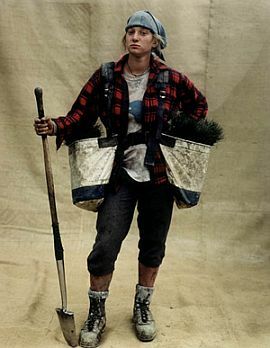 Discovered the high earnings of tree planting ($250 dollars a day if you are a “high baller” like me) and did that during the summers. A crazy group of people and a nice change in environment from the different crazies in university. The tree planters urged me to take at least a year off after university before starting my career, so I headed to Europe and instantly fell in love with it. Came back toCanadafor a grueling 8 month session of tree planting to save up cash and try out my Midas Touch and entrepreneurial skills in the recently democratizedCzech Republic. I call it the magic years. It’s like those glass ornaments with a snowy scene inside. You quickly flip it over and the scene is filled with fluffy, falling snowflakes. This is what it felt like when Czech society turned over from communism to capitalism. There was hope and sparkle in everyone’s eyes. The beer was ridiculously cheap, girls fresh for westerners, and the environment attracted the adventurous and interesting from the west. Over time though, the girls wizened up to the irresponsible antics of foreigners, the adventurous got bored and followed the wave eastward, and the stagnant stale air of suburbia encroached in on my little paradise of sparkle. It was time to leave. The internet had come, I found work through that, and decided I could take my lifestyle on the road. I’ve been moving from one place to another my entire life and have developed itchy feet. I masterminded to move my business into a caravan, with solar panels on roof and internet through mobile phone or other means, so I could drift freely around the planet. Finally received a major project large enough to fund this dream, but first to visit my mother in Vancouverfor Christmas, since it’s already been eleven years when I left. With the intention to also pilot test my dream. 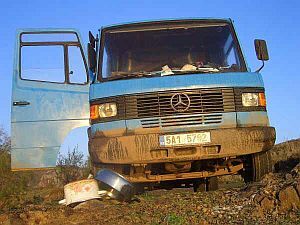 I purchased a van in Seattle, internet through Iridium satellite phone, and drove down to Mexico, flying back to Prague from LA some three months later. This heightened my itch and it took three years and another major project to make it possible. Beautiful truck I lived in for 5 years. Now I’ve been five years on the road (in Europe) and absolutely love it. One person commented that they really admire my lifestyle, saying: “It’s great. You can arrive at a place, decide you like it, and plan to stay there for a few months or so.” I had to correct him: “It’s not like that. There is no agenda. I never decide how long I want to stay somewhere. When I get bored I simply crank up the engine and roll away.” Made it all the way to Cyprus, wandered through the Balkans, and always stay places long enough to make good friends and get a real feel for the local culture. But the winters of Europe are not what I want and I’ve decided to scale down by buying a smaller laptop which I can easily fit into my backpack. I decided to cut the umbilical cord, leave my treasure truck behind in Europe and head to Asia for at least a year. South to Thailandduring the winters and perhaps North Vietnamin the hot summers. Then perhaps to Kenya to launch my Africa Charity Project, which is to teach Africans how to wire a village with solar panel and find work through the internet. Perhaps buy a truck for South America and fly to Europe for the summers. The world is my oyster and I want to swallow all of it. Story of My Life – The Gypsy Traveler. Unfortunately a lot of reading, if you have the time, but you might find it interesting. I’m experimenting with the possibility of selling my travel and life stories as a sort of online book. I’ve already written about half, which is online, because I’ve learned that writing original content and putting it on the web helps get my pages to the top of google. So I put text online to help me get new customers. But the travel stories are time consuming, with all the pictures that I have to add etc., and I’ve stopped making them, although for the past two years I continued to write about my travel experiences. But they are on my computer (not online) and I’ll only be willing to make webpages from them if people are interested enough to pay me something for it. I’ve always considered myself a sort of Gypsy, because I’ve been moving from place to place my entire life and for other reasons, and it occurred to me that I could use as the title of my book “The Traveling Gypsy”. I asked some friends about the idea and my sister said that many people in the west will get angry at me because of this. If you go to the webpage above, at the very top you will see a link to my Gypsy explanation pages, and at the bottom of those, a continuation to the email discussion I had with my sister. 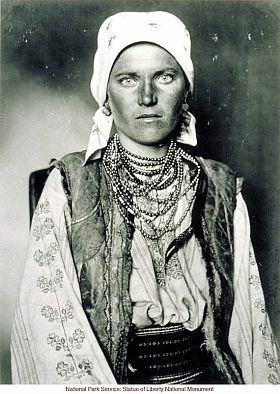 In short, she says that people in the west are so analy politically correct and they will think that my insinuation that I am a Gypsy is insulting to that race, in light of all the suffering they had to endure over the centuries. Personally I thought that was nonsense and explained my point of view on the pages I mentioned above. In any case, I do not want to insult the Gypsy people so I thought I’d ask you for your opinion. Got into a discussion with my sister about the above title I thought I’d use for my book about my traveling experiences. Do you think Gypsies would be insulted by that? I never thought it would, but she says that people in the west would get extremely angry by it and scold me. As if it is somehow derogatory against the suffering they had to endure in the past. I do not understand the correlation, but certainly wouldn’t want to insult Gypsies. I find I always tend to get along with them great, and sort of feel like they are my brothers and sisters. hey sleepy, how’s it hangin? Thank you for your query. Our website functions entirely in the service of the Society whose primary mission is to promote the academic study of Gypsies and Travelers. For myself, I fail to see the connection between our and your objectives. 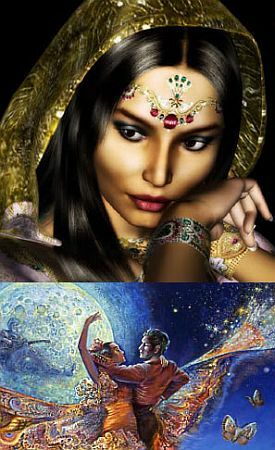 Gypsy and Traveler life is centered more on ethnicity and the distinct social organization each group has evolved, than it is on the traveling lifestyle, although most of the groups do have itinerant existence in their history. I am not sure what you would have to offer to the scholarly study of such groups, but I’m willing to bring your request up at our next Board of Directors meeting in Austria. If you can provide more detail on just how your proposed collaboration could further the Society’s goals please feel free to do so. I think I can understand how linking the two enterprises might help you, but not the other way around. I haven’t updated it in a while so it should be improved since then. Considering the work I am putting into this I expect that within about a month my page could be at the top of google for The Gypsy Traveler. Linking to your pages then should help with your rankings, although I can understand you don’t really need it. I also want to try and promote my book and will try to draw a lot of traffic to that page, so this traffic could spill over to your pages. But I don’t know if that will be so interesting for you (surfers who have searched for “gypsy traveler”). 2) I run into a lot of Gypsies during me travels. Perhaps I could interview them or something? Or perform some research? Otherwise, I really don’t know what I could offer. Thought I’d take a crack at it anyway.